Synopsis: Two warriors in pursuit of a stolen sword and a notorious fugitive are led to an impetuous, physically skilled, adolescent nobleman’s daughter, who is at a crossroads in her life. Did You Know? Michelle Yeoh did not speak Mandarin. So the script was presented to her phonetically, and she had help from Mandarin-speaking crew members; her Malaysian dialect can be heard throughout. Yun-Fat Chow did speak Mandarin (his first language being Cantonese), but Native Mandarin speakers thought his accent was strained and overdone. Ziyi Zhang spoke Mandarin with a Beijing dialect and Chen Cheng spoke Mandarin with a Taiwanese dialect. Because of the difficulty some Chinese-speaking markets had with the voices, they actually had a version of the soundtrack dubbed into standard Mandarin. Ang Lee is a masterful filmmaker. He doesn’t just make mindless schlock (except for Hulk, but let’s pretend like that never happened). He creates art; even Hulk was artistic in its own right. 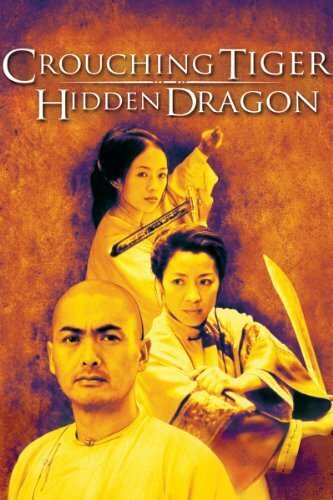 Crouching Tiger, Hidden Dragon is beautiful in every possible way: art direction-set decoration, cinematography, costumes, original score, choreography, and acting. Everything is superb.